Back in February 2012, US-headquartered extrusion machinery supplier American Kuhne introduced its new Modular Micro Extruder at the MD&M West exhibition in Anaheim, California, USA. American Kuhne ran a Pebax 6333 micro tubing system that included their new 12 mm Modular Micro Extruder with servo drive and pressure control. This extruder is said to provide the versatility to quickly and easily change barrel and screw diameters and feed section geometry configurations—allowing for fast product change overs and thorough bare metal cleanouts. The new modular micro extruders are available in 12 mm, 16 mm and 19 mm barrel/screw sizes and are suitable for medical device and pharmaceutical applications. Very low output volumes can be achieved down to 125 grams/hr using standard size pellet shapes and granules. Typical resins for micro catheters are processed such as Pebax, nylon, and polyurethane, high temperature polymers such as PEEK and FEP and bioresorbable polymer formulations such as PLA. Complete micro extrusion systems are available for the production of tight tolerance medical tubing, co-extruded tubing, fine wire jacketing, filaments and solid dosage forms. 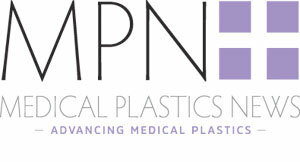 Medical plastic extrusion equipment manufacturer American Kuhne has announced its Spring Medical Seminar and Open House on May 24-25, 2011. The event will offer participants valuable technical medical extrusion knowledge and processing tips. Technical training and discussions will be held on May 24th at the Mystic Marriott Hotel, (located in Groton CT) with presentations by industry experts from American Kuhne (including company president William Kramer), materials handling equipment supplier Conair, process monitoring equipment supplier Zumbach Electronic, catheter and guidewire equipment supplier ASG Medical System, catheter tipping equipment supplier Vante, Northeastern University (NEU) and Guill Tool. Following the presentations on the 24th will be a complimentary cruise aboard the S.S. Sabino cruise line complete with hors d'oeuvres and beverages. Over 100 years old, the steamboat Sabino was built in Maine in 1908 for passenger service on the Damariscotta River. A 3-lumen TPU taper tube on a 1” (25mm) Modular Gearless extruder with AKcess Level I Touchscreen, Zumbach OD system with taper monitoring, Zumbach 3-channel air pressure controller, Conair MEDVAC vacuum tank, Medline taper puller/cutter, blow-off conveyor, American Kuhne spiral flow crosshead and Dri-Air dryer. A .141” (3.58mm) OD x .100” (2.54mm) ID tube from a PVC-free, medical grade elastomer resin. Line speeds will be 600 ft/min and higher. We will use an ULTRA series 2.0” (50mm) extruder with AKcess Level II Touchscreen, Guill inline spiral flow die head, Conair Servo driven multi-pass vacuum tank, servo driven nip roller, automatic cut and transfer coiler and a Zumbach ID/OD/WALL system. The ULTRA R/S 1.5” (38mm) silicone extruder with vertical oven, American Kuhne crosshead, Zumbach OD system and a Conair puller/cutter. The cost of the seminar is $395 per attendee. Breakfast and lunch for both days will be provided to the attendees and a special rate of $99/night at the Mystic Marriott Hotel and Spa is available. Attendance is limited to 60 people - early registration is recommended to secure a spot. At a recent American Kuhne Open House, American Kuhne and Teknor Apex teamed up to display a PVC- free medical tubing line that ran at speeds up to 830 ft/min while processing Teknor Apex’s Medalist® medical elastomer, the companies announced jointly at MD&M East. The high speed extrusion line ran a 0.105 in. (2.67mm) OD x 0.020 in. (0.508mm) wall tube up to 830 ft/min (253 m/min.) line speed. At 600 ft/min (183 ft/min) line speed, tight tolerances of +/- 0.0004 in. on the OD and +/- 0.0001 in. on the wall thickness were held. The extrusion system consisted of an American Kuhne ULTRA series 2.0 in. (50 mm) extruder with AKcess Level II Touchscreen System; inline spiral flow die head; Conair multi-pass vacuum tank with servo driven wheel to minimize the rubber band effect and to minimize tension within the process; servo driven nip roller puller; automatic cut and transfer coiler and a Zumbach ID/OD/WALL tube measurement system with closed-loop control of the OD and wall thickness. The compound used in this run was MD-585, an 83 Shore A compound that is part of the Medalist® MD-500 series for tubing applications. The American Kuhne Spring Medical Seminar and Open House offered participants valuable technical knowledge and processing tips about medical extrusion. The sold-out two-day event attracted over 80 participants. The key message delivered for Teknor Apex at the event was that the Medalist® MD-500 Series compounds are the first fully practical alternative to PVC for many tubing applications, noted Sandland. “It’s not just that they provide mechanical properties equal to or better than those of the flexible PVC widely used for medical tubing; at least as important, they yield tubing that looks and handles like PVC. This means similar crystal clarity, clamp resilience, resistance to kinking and necking, and an overall PVC-like ‘feel’”. A typical compound in the series, Medalist MD-575, actually exhibits 70% less heat-aged color shift than a gamma-stabilized PVC compound of comparable hardness.